It’s no secret the best fine timepieces can command a high price – especially if they happen to be limited edition watches – but it takes something seriously special to break the $1 million dollar mark. Be it for their Metiers d’Art mastery, highly sophisticated complications or rare materials, click through to meet some of the most expensive watches money can buy. 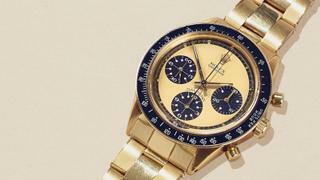 Like most precious objects, fine watches generally tend to appreciate over time but few do so to quite the extent of the Rolex Cosmograph Paul Newman Daytona. Causing a flurry of excitement whenever one comes up for auction, steel versions regularly sell in the upper six figures and values for the Paul Newman Daytona have increased 981% across the board since the early 2000s. This perfect condition 18 karat gold lemon dial ref. 6264 example, crafted circa 1970 and available through Xupes, is only the fifth known of its kind to come to market representing a rare opportunity for the true watch connoisseur. Taking no fewer than five years to develop from scratch by a single master watchmaker, Vacheron Constantin’s new Grand Complication packs in a huge 23 complications as well as a brand new movement and tourbillon with three-week power reserve. Housed inside a 45mm white gold case, the new 514-part movement is just 8.7mm thick and offer the time in civil, solar and sidereal modes – each of which has its own gear train. Even more surprising is that not one of its 23 complications comes from 2015’s famed Ref. 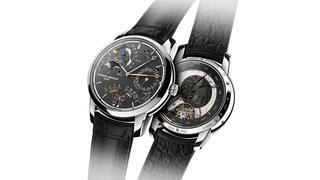 57260 – the world’s most complicated watch with 57 distinct complications. Standout complications on this new reference include calendar and moonphase indications, sunrise/sunset times, night/day lengths, tide level indicator and celestial chart display. 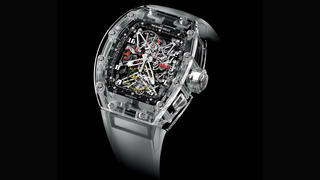 Since its foundation in 1999, Richard Mille has become the go-to for super-luxury sports watches with numerous models easily surpassing the $1 million mark. This is particularly true of the brand’s sapphire crystal cased watches, including 2015’s RM 056 Felipe Massa limited edition. Created to celebrate the tenth anniversary of Richard Mille’s relationship with the driver, the transparent case takes 430 hours to mill and a further 350 hours to polish but there’s no denying it gives an exceptional view of one of the brand’s signature skeleton tourbillon movements. This aptly named timepiece from Swiss watch brand Jacob & Co pairs the technical mastery of a skeleton tourbillon with the beauty of a high jewellery timepiece. 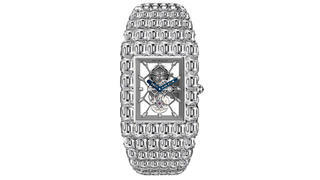 Set with an incredible 260 carats of white diamonds serving to highlight the watch’s technically excellent beating heart, it is about as show-stopping as a timepiece comes.